Cracked by: varuns88 , srikar and BiGFooT. Keyhole inc. (first logo) had a product called Earth Viewer. 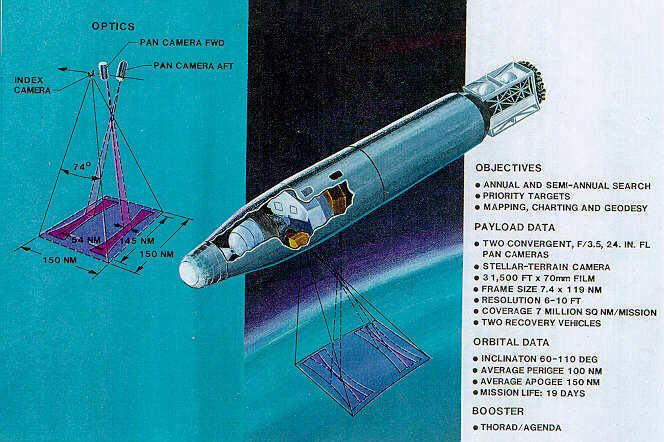 The company name was in homage to the USAs Key Hole series of Reconnaissance satellites (Pictured, KH 4B). Earth Viewer and Key hole were bought by Google, and we now know it as Google Earth. Connect-> Google Earth was created by Keyhole,Inc ,which was later acquired by Google in 2004.The name “Keyhole” is an homage to the KH reconnaissance satellites. Connection is aerial photography/remote sensing? 2. Taking pictures from a satellite? 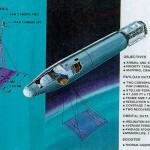 The Corona spy satellites of the US military, developed during the cold war to spy on the dirty commies. However, this led to some phenomenal development in space imaging technology… leading to consumer services like Google Earth and others.